Thank you for that information. Hopefully other people won't suffer from broken Pi2s. 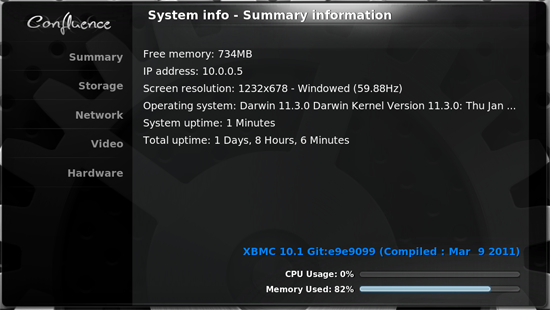 Yes, it has been in the same case at the same place like a B for over a year whithout shutdown and without any issues. Also, no overclocking has been done so far. The case has lots of holes for providing enough air flow. Thank you for the reply. No, a new SD card does not fix the problem. The Pi also gets really hot without any SD card inserted. That should not be normal I think? Edit: Thank you for the advice. This is my 15th (?) raspberry, so the typical causes for failures can be excluded. Ah, OK, now I see what you mean. You want to access the wizard. Simply rename the config file and reinstall. That should do the trick. All the hwlevel links to any files are dead. Does anyone have the latest sources and would be so kind to share them with us? I also get crazy noises if I connect any USB WLAN adaptors. The analogue output simply is not intended for high end audiophiles. Either "read out" the audio via HDMI or use an additional USB sound card. It's sad but it's also an acceptable workaround. Topic: Automount USB disk as same samba drive? Re: Automount USB disk as same samba drive? I am not sure which file format is used for the URL, but maybe it's a simple video stream over the HTTP protocol? Did you try to open the URL in VLC for example, instead of the browser? It might be that your browser is not able to handle a video stream. Of course you can delete both files to gather some more KB of space on your SD card. Here you'll find everything you need to know. Topic: Nintendo equipment purchase areas? Re: Nintendo equipment purchase areas? Topic: raspi as dedicated document printing? Re: raspi as dedicated document printing? This might work, but as far as I remember, you need tons (several thousand) sample images to "teach" a classifier. Or you make use of several (weihgted) classifiers. Topic: RaspberryPi, Two Domain Names, Two Wordpress Sites? Re: RaspberryPi, Two Domain Names, Two Wordpress Sites? All on port 80, of course, but in different directories. Edit: Sorry, link was in german. Sounds like RaspBMC or XBMC? First you could check your network connection on the system information page in XBMC. Go to "Network" in this view. Das zweite hilft nicht weiter, denn du hast ja überhaupt keine Verbindung. Also kannst du auch keine DNS-Server erreichen. Schreibe hier mal bitte den Inhalt der Datei "/etc/network/interfaces". Danke.